Imagine yourself standing alone at a party. Suddenly, a stranger approaches you and asks how you’re doing. Instead of answering their question, you stare at the ceiling and say nothing. They may to try engage you once or twice more, but as you continue to ignore them, they’ll inevitably lose interest and go off to find a new friend. Can you blame them? This uncomfortable and frustrating one-way interaction is a lot like the ones shared between disconnected organizations and their clients online. Over 90% of social media users have used social platforms to reach out to organizations, and they can’t keep up with the demand—in fact, one-third of client complaints are never answered. Non-responsiveness can severely damage an organization’s reputation, as failure to respond via social channels can lead to a 15% increase in client churn rate. If you’re not already taking social media seriously as a client communication and retention tool, it’s time to start. Keep reading to discover helpful tips on how to use social media to engage and retain your clients! Online engagement has undergone a major shift in the last decade. Previously, organizations used online platforms exclusively to promote their services and increase their visibility, but in today’s incredibly competitive landscape, this isn’t enough. Clients have more choices than ever before when it comes to deciding which service provider to go with, meaning that excellent social customer service is absolutely necessary to attract and retain them. Consumers want to have a relationship with their service providers, and this relationship can’t be built through traditional one-way promotional messages. In other words, we’ve moved away from talking at clients, and toward taking with them. Private Protestors are clients who send direct messages to organizations when they want to give feedback or ask questions. These people want to get their issue resolved quickly, and without making a commotion. It’s easy to disregard these people because they don’t pose an immediate PR threat, but they still expect a quick reply, and will often take their (now escalated) concerns public if they don’t receive a response. Audacious Accusers are people who know what they want and how to get it. They understand that an organization will protect its reputation at all costs, and this reputation becomes threatened when they’re criticized directly and publicly. This tactic is most likely to provoke an immediate response from organizations, because they want to diffuse the situation as quickly as possible to prevent the issue from spiraling out of control. 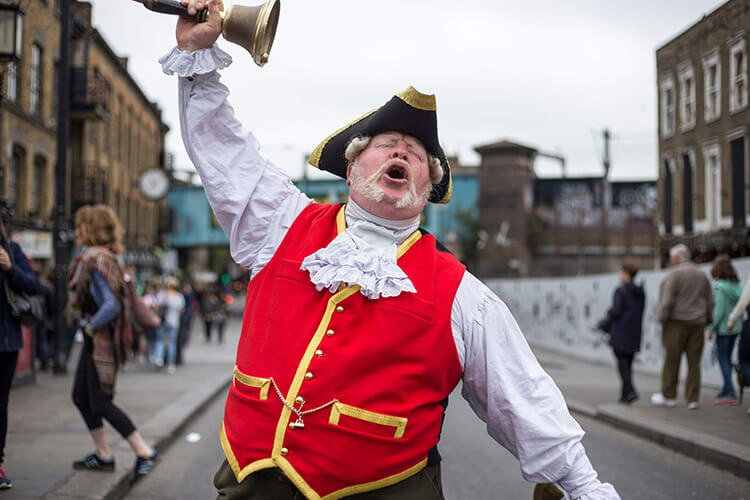 The final type of social media engager is the Town Crier. These people want their opinions to be heard, and they’re not picky about who hears them. They don’t tag organizations’ social media handles when they post about them, so these organizations remain unaware that they’re even being talked about (unless they’ve mastered the art of social listening, which we’ll discuss in the next section). This means that they aren’t likely to respond, causing annoyed clients to become angry, and appreciative clients to become disappointed. Although these client types all seem very different, they have one thing in common: they want organizations to respond to their messages. Research shows that organizations with a well-designed social media client service strategy experience 92% client retention. By understanding the importance of communicating with your online audience, you’ll benefit both your client base and your brand. Following your clients is one of the best ways to find out how they think, feel, and act. And although literally following them around may give you some of the information you’re looking for, following them on social media provides a much easier (and less illegal) way to see what they’re up to. Social listening is a term for monitoring online interactions related to specific phrases, topics, hashtags, industries, or brands, then leveraging the information collected to create content that is relevant to your audience. Through targeted social listening, you’ll get to know your clients very well, very quickly. You’ll discover insights such as which social media platforms they’re active on, which of your services or offerings they talk about, and which types of content they share most often. You will also be much more “in the know” when it comes to industry news and trends, which will solidify your position as a credible source of information. Combined with a thoughtful content marketing strategy, this can pave the way to establishing yourself as a thought leader in your industry. One very helpful (and free!) tool for social listening is called TweetDeck, which connects easily to your business Twitter account. Once you’ve determined which phrases and accounts to follow, put them into TweetDeck, and you’ll get instant and comprehensive visibility into all recent social activity associated with each term. All of this activity is visible on one easy-to-use dashboard, making it very easy to identify and compare trends. Once you’re content with the amount and quality of information you’ve gathered through social listening, you’ll use your new-found knowledge to chime in on (and start) relevant and targeted online discussions. The more you comment on industry content and reply to concerns, the more clients will see you as reliable, relatable, and accessible. With this reputation, your organization will be well on its way to a lower churn rate! 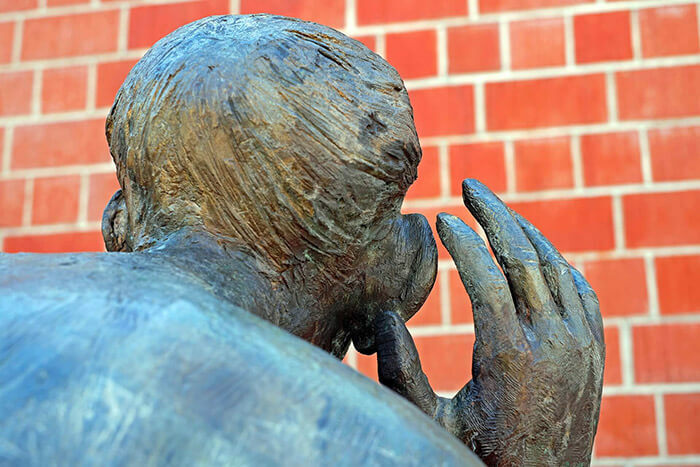 Keep in mind that social listening isn’t something you do once before deciding you’re an expert. It’s important to constantly be aware of what your clients and competitors are saying, so that you don’t miss any important updates or opportunities to help those with concerns. 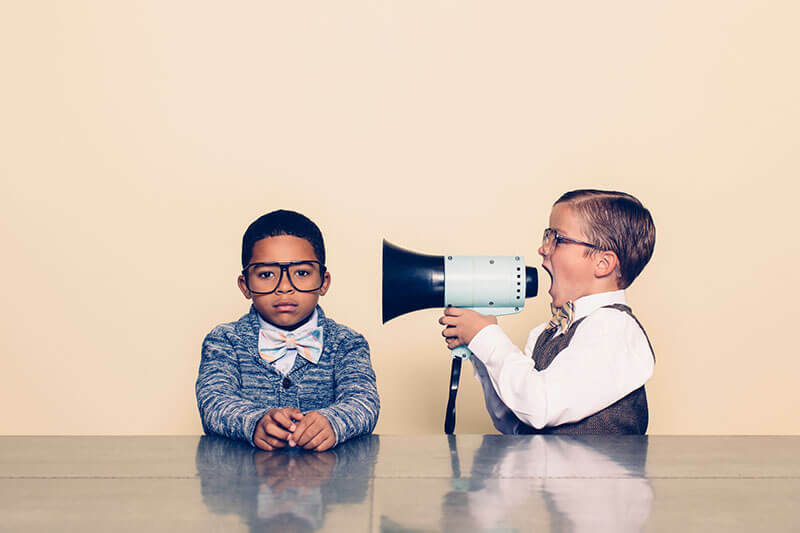 Client comments can easily slip through the cracks if you’re not actively listening on social media, as only 3% of clients who mention a brand on social platforms use their official handle. If you’re relying on your notifications alone to let you know when people are talking about you online, you could be missing up to 97% of conversations. Being human is about more than our biological makeup. It involves embodying the behavioural and emotional traits that connect us as members of the human race—traits like empathy, imagination, and self-awareness. When it comes to client communications, being human is essential to your brand’s success. As mentioned earlier, people want to build relationships with their favourite organizations, and good relationships involve trust and respect. If your clients feel like they’re talking to a robot when interacting with you, it will be impossible to make real connections with them. And if they don’t feel attached to your organization or values, there is nothing stopping them from taking their business to one of your more emotionally intelligent competitors. Consumers are very good at recognizing when the person they’re communicating with is not being genuine. They want the brands they interact with to be honest and realistic, instead of impersonal and detached. 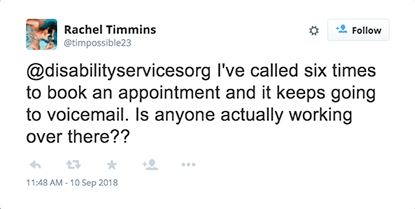 Below is hypothetical tweet from a customer to a company she is having issues with. Although these replies convey similar messages, they have very different delivery styles. The first doesn’t address the client’s actual concerns, and is very robotic and cold. The second addresses the client by name, offers a genuine apology, and tries to find a timely solution. The second reply is much more human, and it makes the client feel as though the organization actually cares and wants to help. When you consider that almost 60% of consumers are either disappointed with, frustrated at, or distrustful of a brand or organization because of a perceived lack of attention, it becomes clear that personalized interactions are vital to maintain client happiness and loyalty. Organizations need to start communicating online in a more genuine way, because they can’t afford to lose such a large percentage of their clients. Every established organization should have clearly defined and communicated values. 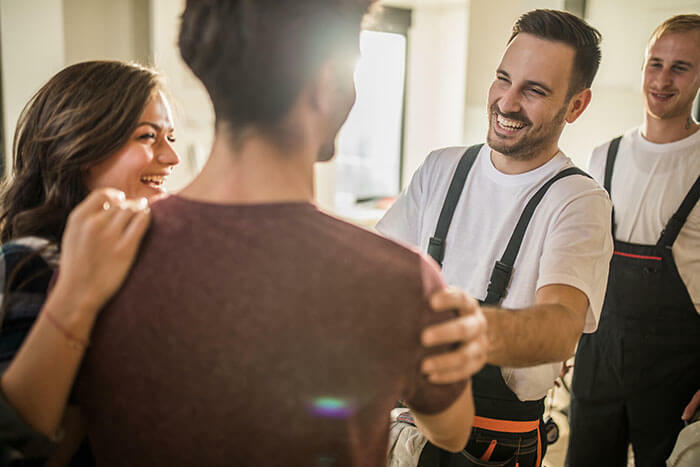 Letting consumers know what your organization believes in helps to establish you as a caring and committed group of people, rather than a faceless business. After all, it’s much easier for clients to identify with the values of honesty, integrity, and trust than to identify with technical product features and detailed fundraising projections. When communicating your values, however, it’s not enough to mention them once on your website and then forget you ever created them. You need to consider them in every decision you make, so that your brand image and messaging is strong and consistent. By making your values a main component of your messaging and how you operate, clients will positively associate your organization with the characteristics you represent. This is incredibly important, given that 52% of millennials feel it’s important that their values align with the brands they like. If you don’t clearly state and back up your values, you’re missing out on connecting with a huge portion of your audience. When clients consider your brand to be a way of life, or even an extension of themselves, they’re much more likely to be loyal to you. Communicate your values loud and proud, live up to them every day, and watch your client retention rate skyrocket. It’s clear that by being responsive, informed, and authentic on social media, it’s possible to massively increase your client retention rate. By following the tips in this article, you’ll improve your brand’s reputation, and ensure that you won’t be that awkward, disconnected party-goer ever again.